Provide comfort for the family of Edward Eglar with a meaningful gesture of sympathy. Edward, 99, was born January 20, 1919, in Oakdale, a son of the late Martin and Ellen Strabavi Iglar. He was a welder with Briggs & Tarvis Co. as well as the owner and operator of a coal truck. He was a handyman known by many as Mr. Fixit. He loved to travel. Surviving are his children, Judy (late Joseph) Werner of McDonald, James (Patricia) Eglar of Burgettstown, Bonnie (Michael) McGuane of Imperial, Shirley DiPietro of Oakdale; 5 grandchildren and 4 great grandchildren. He was preceded in death by his first wife, Helen Patterson Eglar and his second wife, Rosetta Land Eglar; brothers, Martin, Charles, Albert, William and Gilbert Iglar; sisters, Helen Waz, Irene Bowland and Margaret Derry. Friends will be received Thursday 4-8 p.m. in the Thomas-Little Funeral Service, Inc., 5000 Noblestown Road, Oakdale. A blessing service will be held Friday at 10 a.m. in the funeral home. Interment will follow in Robinson Run Cemetery. 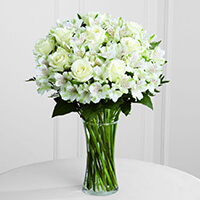 To send flowers in memory of Edward Eglar, please visit our Heartfelt Sympathies Store. Your Store Operations Family, Don, John, and Sarah Beth, and others have sent flowers to the family of Edward Eglar. So very sorry to hear of your father's passing. Our dad always enjoyed visiting with the family. I enjoyed being there because there was always a lot of fun and activity going on at the Eglar house. It was so nice to see you all last January and to have the opportunity to talk about your dad. Love to all. Sorry to hear of the loss of your Dad. He will be greatly missed. Thoughts and Prayers for your family. Jackie, we are thinking of you in this difficult time, and are praying for you and your family. 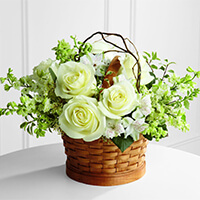 Your Store Operations Family purchased the The FTD Peaceful Garden Basket for the family of Edward Eglar. Jackie, you and your family are in our thoughts and our prayers. Don, John, and Sarah Beth purchased the The FTD Cherished Friend Bouquet for the family of Edward Eglar.